I've been flying all over recently, from the West Coast to the East with a stop in the Midwest, and I had occasion to plow through my magazine TBR pile. (I subscribe to a lot of them, from Foreign Affairs and National Geographic to Elle, Vogue and Vanity Fair so the stack was high). One of the magazines, in honor of Valentine's Day had asked a series of women from every walk of life to name their favorite red lipstick and when they first wore it. The answers were surprisingly interesting! Some filched their mother's red, others their grandmother's. They talked about putting on the lipstick, looking in the mirror, and the impact the color had on them. Most felt instantly grown up, others somewhat racy, and still others felt empowered. All from a bright red color. I have my own story, of course. I never wore much makeup until I was in college, but one year for Halloween I decided to dress as a devil, with a flowing red satin cape. I headed to the nearest drugstore to buy a fire engine red lipstick to complete the ensemble. I put it on in a cab using a tiny compact mirror and so never saw the full effect until later, when I walked by a floor to ceiling mirror in the dance club and stopped dead. The red lipstick made me look alive and powerful in a way that I couldn't explain. some red lipstick and watch your spirits soar. (I asked some men what works for them, and most said their favorite suit, the one that makes them look put together and prepared to take on the world). 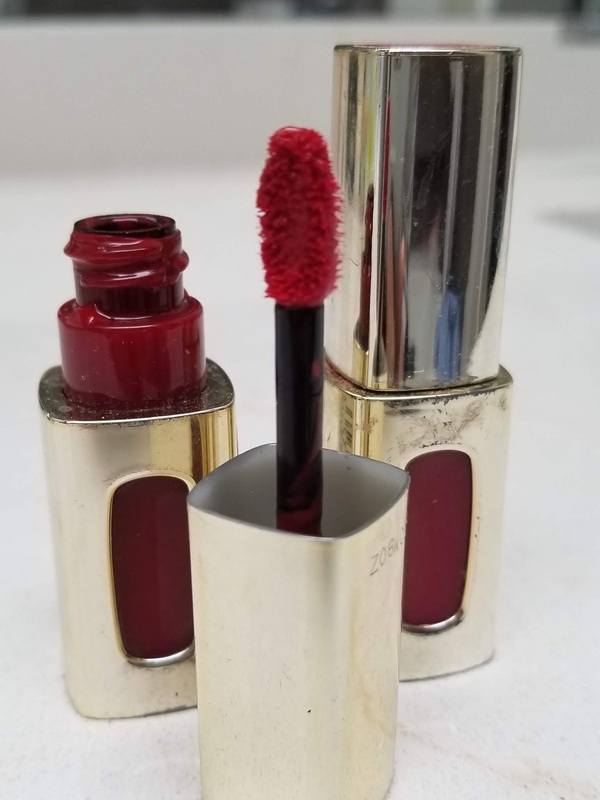 And if you love an expensive color but would be just as happy with a duplicate, there's Temptalia, a helpful website that will find a drugstore dupe for you. But why red? What does the color mean and why does it resonate so much? According to this Psychology Today article the color signals dominance, power and physical attractiveness to all genders, not just women. In fact, sports teams that wore red uniforms had a better chance of winning a physical contest. But red doesn't always help. On the flip side, studies show that seeing a flash of red before an achievement test can raise fears of failure, so approach red wisely. I've used red in thrillers as well. 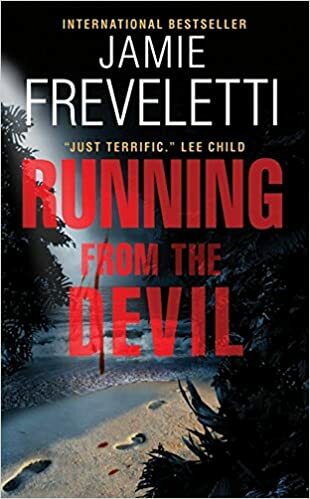 My first, Running From the Devil, has a pivotal moment involving red. I won't say more, so as not to spoil the book should you choose to read it, but I'm glad now that I did. I must have instinctively known that the color would mean something to a reader, just as it did to me. If you're reading a novel that mentions red, my bet is that it's a signal to something powerful, dangerous or exotic. And if you're writing one and thinking about conveying an image, red should be in your arsenal. Part of being a writer is knowing what different images will move a reader. The lush green of a forest or the sandy white of a beach will resonate differently than the soft grey of a dawn sky and red of a villain's bloodshot eyes. And here's a link to some photos of the most iconic red lipstick worn by famous women. One woman movie star and scientist (you can read Rogue Karna Small Bodman's great story about her here) had a red lipstick named after her. If you've read a book that employs the color, or a favorite color and brand of lipstick, and/or a story of your first time wearing red, we'd love to hear it! I've always loved red, Jamie, and you've brought it all back to me. It's such a daring, eye-catching color in all its hues. My favorite story is about Time magazine, one of the oldest recurring news magazine on the planet. Every cover has a red frame. Guess why? Yep, it grabs one's attention. Never knew that about Time! I very much recall your pivotal use of red in RWTD, Jamie, and I won't say more either. Gayle is right about Time magazine. The judicious use of red can bring a cover to life. As for me, I have a love/hate relationship with red--when it comes to clothes. Not everyone can pull it off in all its glorious shades. (I need it to swing more burgundy. If there's any yellow in it, yikes!) That being said, my fave book cover is predominantly red, and I do gravitate toward book covers in red, perhaps assuming that the inside will match the outside. I do like the color red. Do you remember when people used to choose colors to wear based on what "season" you were? I was a Winter - and that went well with red. I had two, no three red jackets - which I used to wear a lot until a friend told me I looked like a real estate sales person. BTW, loved Running from the Devil - but i don't remember the scene with red. Love the photo link, Jamie. I always were a reddish shade of lipstick, when I wear lipstick, but I always, always wear some shade of red or purple on my toes. Thanks re: photo. Pulled some of my reds out and snapped that one! I totally agree! I love the color, though I wish I'd worn more of it when I was younger and had the better skin tone. In my forties I was horrified that I wore pink lipstick at my wedding in 1987. Now that I'm 55, I'm back to the pink. Sometimes. But most of the time it's red, fifties or not! Laughed at the pink lipstick comment! And I'm mostly wearing red, too. But I also have a beautiful plum color-LOreal Plum Adagio, which is surprisingly sophisticated looking for an evening event.